Home / Facebook Hacks / How to Hack Facebook account using Wi-Fi? 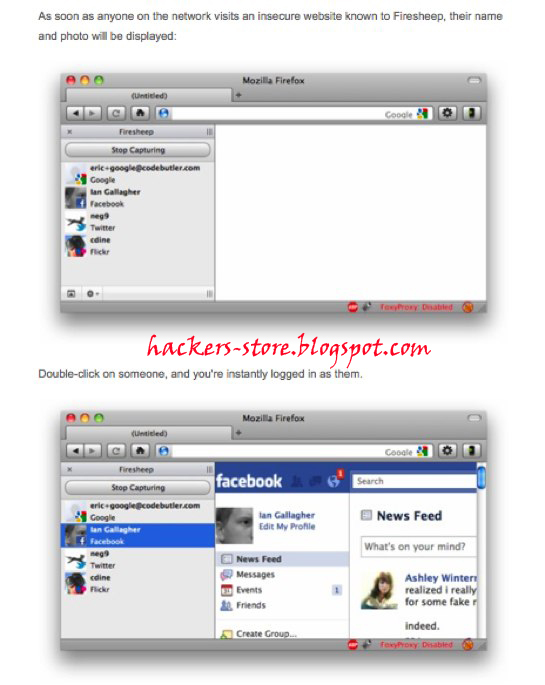 How to Hack Facebook account using Wi-Fi? 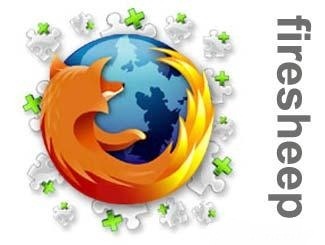 Recently You mozilla add on namely " FireSheep" is used for hack thousands of email accounts . As reported by techcurnch, Firesheep has been downloaded more than 104,000 times in roughly within 24 hours. What is the Special in FireSheep? 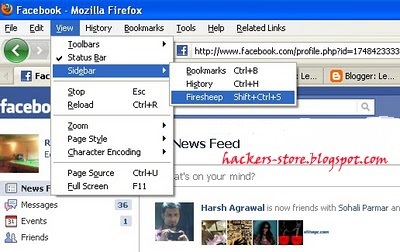 Using FireSheep add on you can control any account without knowing the username and password . Famous Social Network Facebook is victim of this Firesheep. The Firesheep uses HTTP Session Hijacking to gain the username and password. What is HTTP Session Hijacking? Attacker use HTTP session Hijacking to steal the cookies from victim. Cookies are file which contains the password and username . Using this HTTP Session Hijacking method you can hack Facebook Google, Yahoo, Orkut, Flickr etc or any other email account. How to use this Firesheep to steal the cookies? Right click on the file and select "Open With"